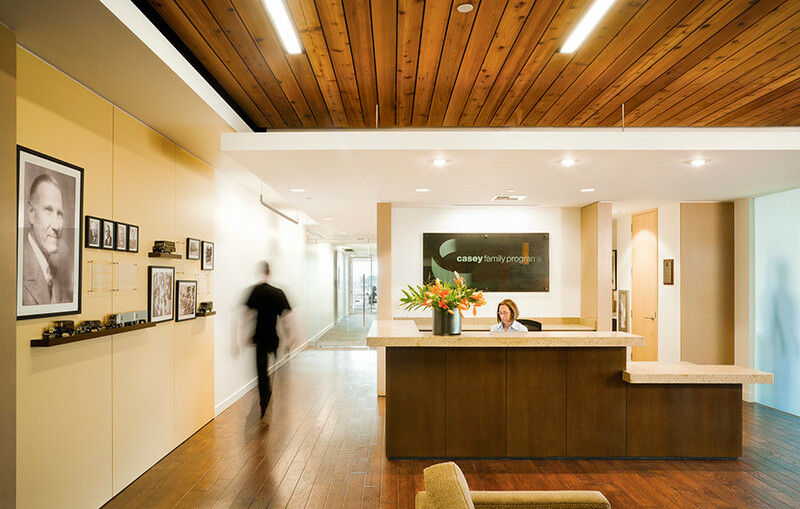 The new corporate headquarters for Casey Family Programs was a fast paced and highly design-oriented tenant improvement project. With a demanding schedule of only 12 months, the project was successfully completed and delivered on time to the client. Occupying the top four floors of the 28 story West 8th Tower and offering amazing views, the Casey Family Programs Headquarters combines office space for more than 200 employees with informal gathering spaces or “family rooms” that allow the organization to carry out its mission to provide and improve foster care in the United States. 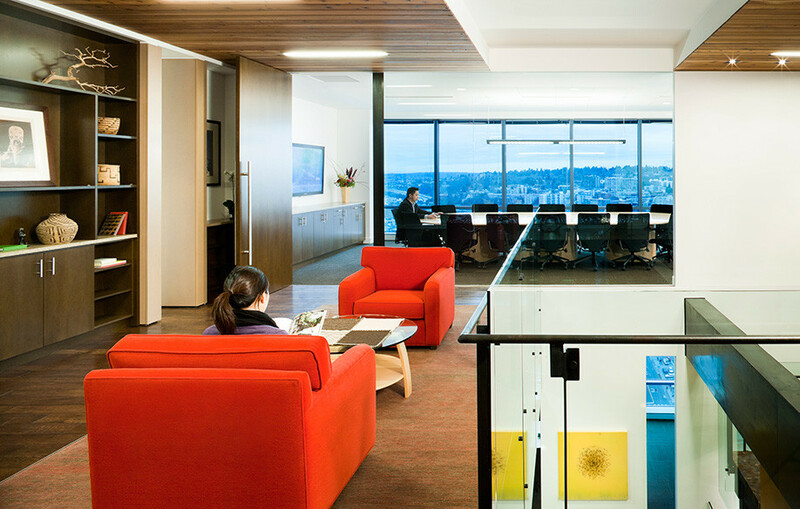 With many sustainable features including maximized daylight, water and energy reduction measures, and outdoor air delivery monitoring for a healthy building effect, the project earned LEED-CI Gold certification.